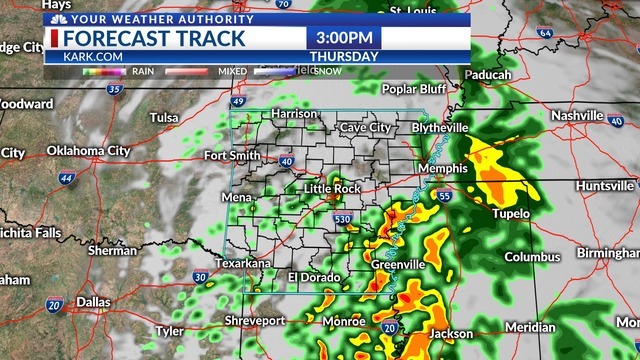 Thursday, from Your Weather Authority -- Rain and thunderstorms are expected statewide today. It does not look like our atmosphere will get as unstable as earlier projected, so the Severe Weather threat will be lower. 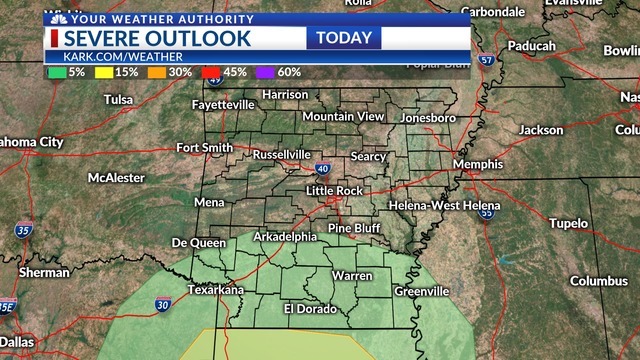 Howerver, brief severe thunderstorms will remain possible this afternoon in South AR. Large Hail remains the biggest threat. 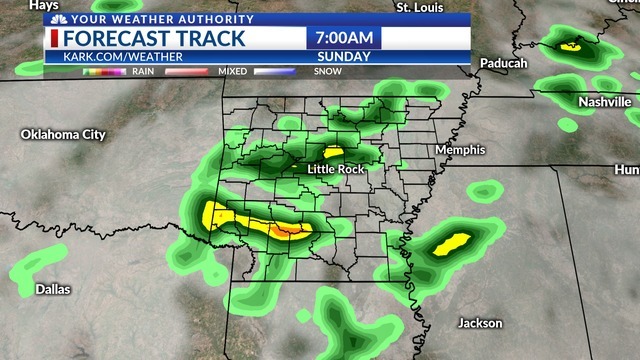 There will be scattered thunderstorms through the morning hours, but will likely not be severe. 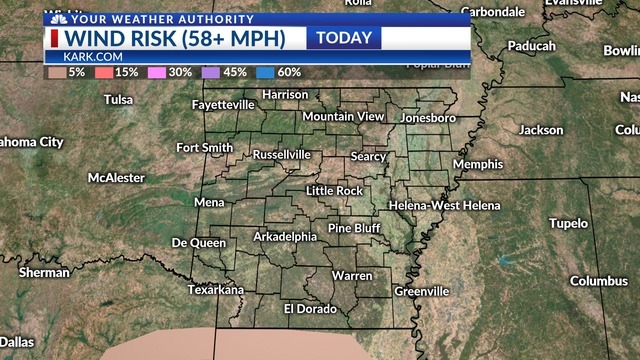 Any severe storms will start around Noon and continue through the afternoon when the atmosphere will become somewhat unstable. 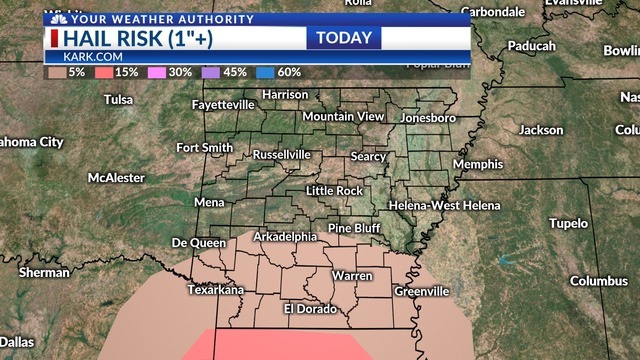 South AR will see the higher instablility. 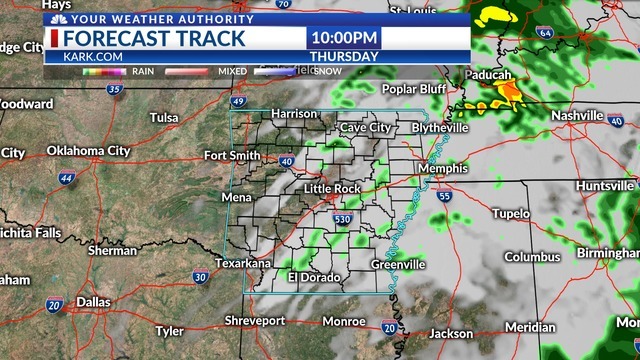 Any storms that form will likely be leaving the state as the evening hours approach. 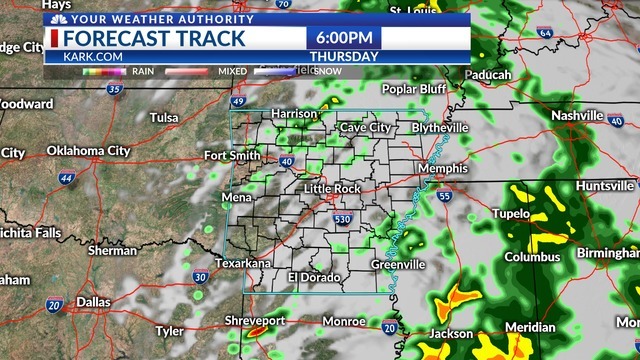 The chance of severe weather end, but a few showers will be possible until 10 PM. The main severe weather threat this afternoon will be large hail. The probabiltiy for severe hail mirrors the overall SPC Severe Weather Outlook. 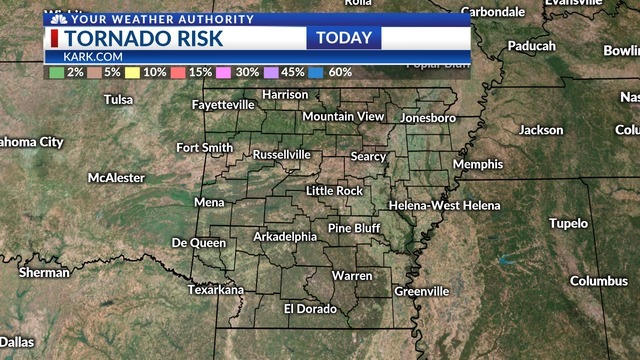 The chance for damaging wind and/or tornadoes is close to zero. 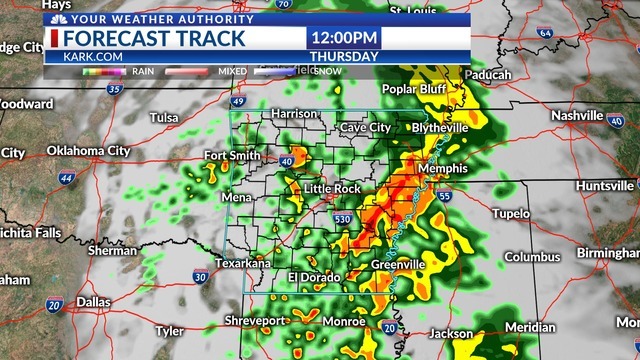 Thursday's storm sytem will come and go. 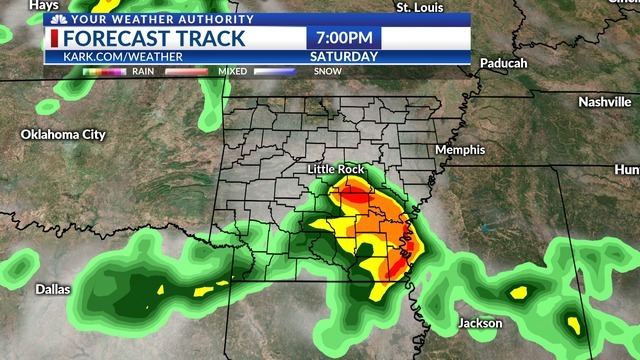 Friday will bring quiet weather, but stay Weather Aware for Saturday. 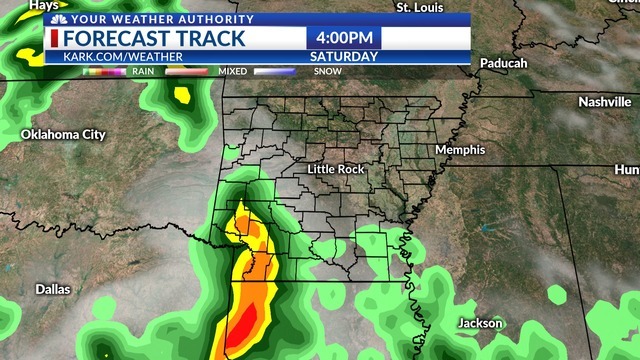 More storms and potentially severe weather is expected Saturday afternoon and into Sunday.